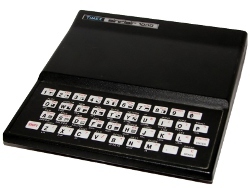 You may, or may not, have noticed the lack of writing on my ZX81 site. You might think I gave up, moved, on, or forgot my password. Nope to all three. Its way worse. Im changing things up! TL;DR: You can head over to my main site (https://www.reids4fun.com) and still read what crazy program Ive published this month. Even better, read a few other articles! See, Ive been working for a couple years now on cleaning up my various sites. The subdomain was a great idea at the time, but its confusing. Search for my programs, LEGO renders, or writing and you get different results that don't jive with each other. Not quite what I wanted. The original reason was allow folks to separate the RSS feeds. My old blog software made that pretty easy, but the current CMS lacked that feature. Today, though, it doesn't seem to matter much. People tend to follow me in other forums like Twitter and Flickr. RSS feeds are still validsomething I want to fix still. But, the world has moved on and I need to as well. Another issue is that each of my subdomains is a different CMS. That is a pain. The other problem is that I wanted to build better security into my site. I did that on my main site, but not my subdomains. To improve security and simplify my site, I'm avoiding subdomains. What's next for this ZX81 subdomain? To be honest, not much. Im still working on some new landing pages and other features to make my site work better. I'm not dumping the subdomains until that is done. Losing these old articles is not what I want. So, I need to work on migrating everything before I can retire the content. Until then, you can still link and search like before. In all other respects the content will be static. In the future, Ill make sure links redirect to their new locations. It will take time. Could be years, or months. In either case, you can still follow this feed. I will shift it over in the coming weeks. Or, go follow my main feed and skip the whole ordeal! Sure, you get a few other unrelated articles. But, hey, it might surprise you and youll find something else of interest! So, thats it. This site is static. Head over to my primary domain! It will all be okay!